"Wickedly witty... one hell of a Good Show!! Lewis' topsy-turvy exercises in inverted moral theology were made to be played with lip-smacking relish!" 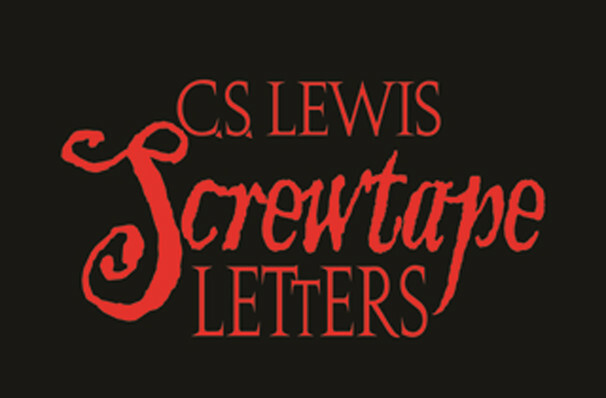 Why See The Screwtape Letters? Having toured the country repeatedly, this wickedly funny and whip smart theatrical adaptation of C.S. Lewis novel's about the intricacies of spiritual warfare between The Enemy (God) and Our Father below" (Satan), with humans blissfully unaware between the two planes. The play follows the clever scheming of a high-level demon who spends eternity enticing humans toward damnation. After all, human souls are the very source of food he needs to survive. In this inverted moral universe set in a sinister, yet stylish psychiatry office in hell, Screwtape dictates a letter to his unseen nephew Wormwood, despairingly trying to educate him on the fallacies of human nature. His protege Toadpipe transforms into the icons of vice at flick of Screwtape's fingers in a hope to illustrate to both the audience and the hapless Wormwood what it means to be a demon. As His Abysmal Sublimity Screwtape, Max McLean creates a "master of the universe" character, one not unlike Michael Douglas' cunning Wall Streeter, whose infinite knowledge is underlined by a world-weary cynicism of human nature and anger at his nephew's naivety. 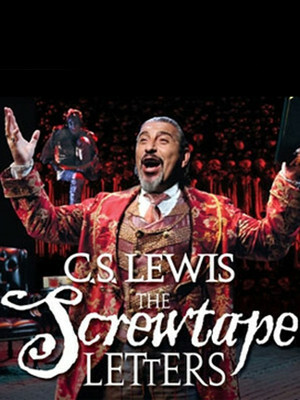 The Screwtape Letters is suitable for audiences aged 12 and upwards. About Grand Rapids Theater: We are an independent show guide not a venue or show. We sell primary, discount and resale tickets and prices may be above or below face value. Sound good to you? Share this page on social media and let your friends know about The Screwtape Letters at Devos Performance Hall. Please note: The term Devos Performance Hall and/or The Screwtape Letters as well as all associated graphics, logos, and/or other trademarks, tradenames or copyrights are the property of the Devos Performance Hall and/or The Screwtape Letters and are used herein for factual descriptive purposes only. We are in no way associated with or authorized by the Devos Performance Hall and/or The Screwtape Letters and neither that entity nor any of its affiliates have licensed or endorsed us to sell tickets, goods and or services in conjunction with their events. Grand Rapids Theater is part of the Theatreland Ltd Collection. Established in 2003, Theatreland offers the largest individual collection of websites providing complete, impartial guides to all the theatrical, musical and performance arts events and venues in the world's greatest theatre cities, from New York's Broadway to London's West End and from the showrooms of Las Vegas to Shakespeare's Globe Theatre.